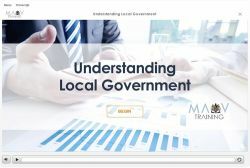 We have created two e-learning modules to improve understanding of how local government works – its structure, funding, governance, procurement and legislative roles. Each self-directed learning session runs for approximately 30 minutes. Understanding local government explains how the local government sector works and how it fits in with other levels of government. This module is suitable for new councillors or council staff who are newly employed within the sector, as well as anyone interested in enhancing their understanding and knowledge about local government. 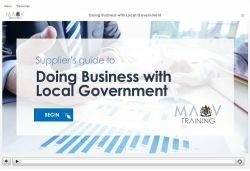 Doing Business with Local Government has been developed to assist suppliers to build successful, long-term relationships with councils by understanding their procurement and legislative requirements when making purchasing decisions. For further information about our E-learning modules, please email our Procurement team at procurement@mav.asn.au.